Lauren Grymek joined the Melrose Chamber of Commerce as its Executive Director in February 2016. In this role Lauren oversees the presence for the 300-member chamber, including the organization’s administration, finances, communications, marketing, government relations, board relations, and volunteer management. She is responsible for leading and executing the Chamber’s four signature community events and monthly networking events. Prior to joining the Chamber, Lauren served as the Executive Director of the Seaport Transportation Management Association (Seaport TMA) in the South Boston Waterfront, a role she held for 11 years. At the Seaport TMA, she was responsible for the organization’s administration, finances, operations, government relations and oversaw membership services and membership recruitment. Lauren received an MBA from Simmons College and a Bachelors of Arts in Communication from Stonehill College. She is an active volunteer in the Melrose Public Schools and the Stonehill alumni association. Lauren resides in Melrose with her husband and two children. Jennifer Manning is the Assistant to the Executive Director at the Melrose Chamber of Commerce. In her role she oversees office operations and membership administration. She also provides support related to financial management, community and membership outreach, as well as all of the chamber’s signature community events and monthly networking events. Jennifer has extensive Administrative Management experience working in the Higher Education and Global Executive Recruiting industries. Jennifer is a graduate of Boston University. 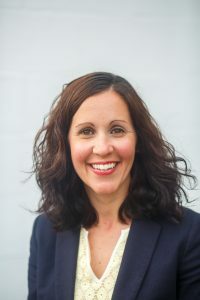 She is a Board Member and Clerk of the Melrose Education Foundation and an active volunteer in the community and within the Melrose Public Schools system. A lifelong Melrose resident where she resides with her husband and two children, she is excited to give back to her hometown through her role at the Chamber. Chamber volunteers assist with the annual Summer Stroll, Victorian Fair and Home for the Holidays events, as well as with small projects and initiatives throughout the year. Volunteering with the Chamber is a great way to get involved in the Melrose community, without a large time commitment, and you do not need to be a member to volunteer. Please contact the Chamber if you are interested in getting involved with a great group of people.